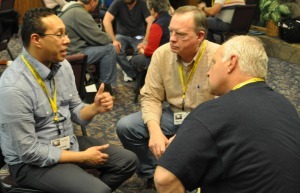 Ministry leaders talk about what drew them to the Fellowship of Grace Brethren Churches. 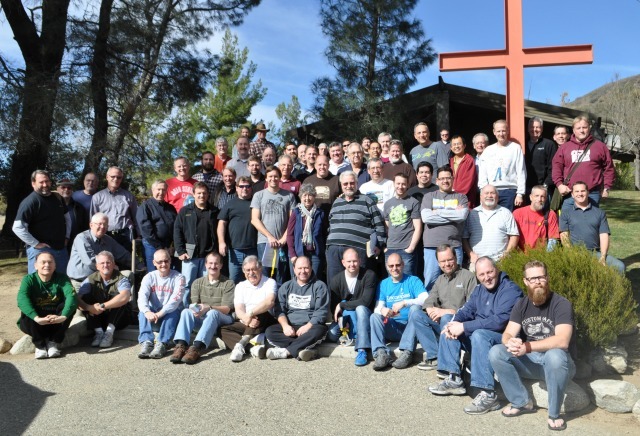 Nearly 70 Grace Brethren pastors and ministry leaders are gathered this week at The Oaks Conference Center in Lake Hughes, Calif., for the annual Southwest Focus Retreat. Participants have come from around California and as far away as Arizona, Alaska, and Ohio to participate. As lunch approached, the group again split, with each person spending time alone to write to their “Timothy,” or a younger person they are mentoring in ministry. Those letters will be used to cull a number of values that are important to the group and the letters themselves will be posted to the graceconnect.us page. Thoughts and impressions from the two days are being captured on the FGBC Identity Wall at graceconnect.us. You may also follow the hashtag “FGBCidentity” and “FocusEast” on Twitter, Instagram, and Facebook. Photos are also be posted in an album on the graceconnectus Facebook page.